WHY CHOOSE A DUCTED VACUUM SYSTEM? 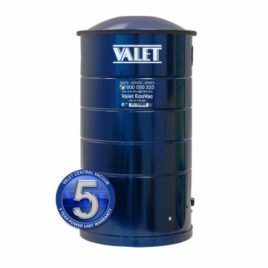 At Valet Canberra, we offer a range of central vacuum systems to complement the design and construction of today’s contemporary homes. Every one of our ducted systems is specifically chosen to suit both the size and style of your home, with a wide range of floor tools and brushes to suit your floor coverings. Ducted vacuum systems are the ultimate built-in home cleaning solution, giving years of easier, more enjoyable cleaning – with the benefits of a healthier home via superior cleaning performance. At the heart of every one of our power units is our unique range of highly efficient, long-life motors, which deliver consistent vacuum power to every corner of your home. 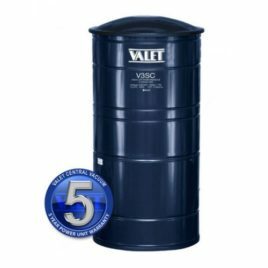 Unlike conventional cleaners, a Valet ducted vacuum prevents dust from recirculating back into the room whilst vacuuming. 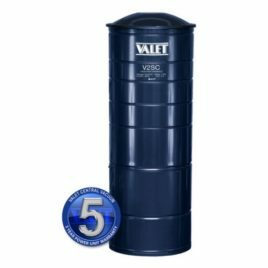 Because our central ducted vacuum systems collect and remove the dust from the house, they eliminate the re-circulation of allergens. When using vacuum cleaners, which do not have allergen-trapping features, it has been found that they have had little effect in reducing mites in carpets. 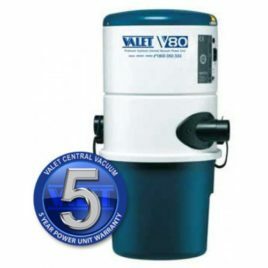 Our filters capture particles as small as 0.1 micron and have filtration to 99.7%. A standard home will only need to empty the unit up to 2 to 3 times a year. We can design the best ducted vacuum system for your living space. Just think, no more dragging a portable vacuum cleaner around the house, no more recycled vacuumed air pouring out back into your home, and no more wondering where the suction power has gone. A ducted vacuum system, sometimes called a built-in vacuum or central vacuum, is the modern alternative to traditional, portable vacuum cleaners. 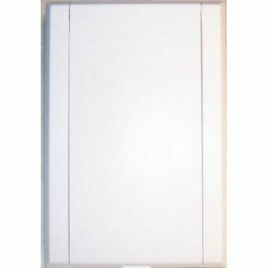 A power unit: Usually installed in the garage, under the house or in a store room. The power unit also serves as the collection point for dirt and debris vacuumed in the house. PVC pipe work or ducting: Installed inside walls and/or under floors. The PVC pipe work connects the power unit to the inlet valves. Inlet valves: Strategically located throughout the home. When you vacuum your home, you attach the vacuum hose to the inlet valve in the area you wish to clean. 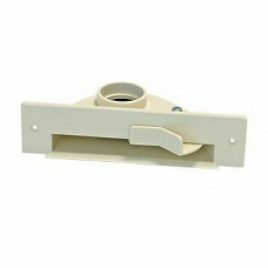 Three inlet valves can easily cover an entire 25 square home and garage. Vacuum hoses and attachments: The lightweight hose, usually 9 metres long, connects to an inlet valve. Various attachments for different cleaning needs, such as hard floors, carpets, draperies and car interiors, attach to the hose. Because the motor of the vacuum unit is a long way away from the area that is actually being vacuumed, you can vacuum while others carry on with their activities nearby. Ducted vacuum cleaners generally have much larger capacity dust bags than traditional barrel or upright vacuum cleaners. As they don’t need to be carried around, weight or size of the dust bag is not an issue. The best ducted vacuum systems are designed so they have a large central unit that’s fixed in place within the house, usually in the garage, roof space or in an out-of-the-way place. With the range of flexible hose available, an average home only needs about 3 inlets to provide 100% coverage of all floors, curtains and corners. When it’s time to vacuum, the user simply needs to connect the vacuum hose to the nearest hose outlet, turn the unit on, and then proceed to vacuum. When the area is clean, the user simply disconnects the hose and switches to the next hose outlet to continue vacuuming. Ducted vacuum system hoses are usually longer than standard vacuum hoses. 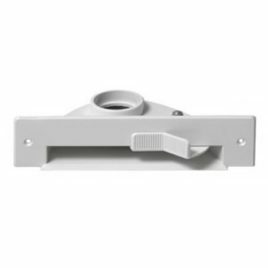 Because the user doesn’t need to carry around the entire vacuum unit with them, they just need to pull the hose around – and this is usually very light. Why Choose a Ducted Vacuum System over a Traditional Vacuum Cleaner? 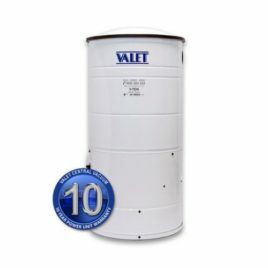 Greater cleaning Power – Because of its powerful motor and large air flow, a Valet ducted vacuum picks up deep-down dirt, dust and debris, including microscopic particles like pollen, mould spores and dust mites. Unlike a traditional vacuum cleaner, which re-circulates into the air some of the dirt and particles it picks up, 100% of all vacuumed dirt, particles and allergens are removed from the home into the canister located at the power unit. Improved indoor air quality – Because 100% of vacuumed material is removed from the home, indoor air quality is significantly improved. In fact, a recent university study found that allergy sufferers’ symptoms can be improved up to 61% when using a ducted vacuum system. Improved indoor air quality also means a cleaner smelling home. Convenience and ease of cleaning – No heavy equipment to lug around, no cords to trip over or catch on furniture, and no clunky unit marking your furniture and woodwork as you move from room to room. Lightweight hoses and attachments are easy on the back. Convenient inlet valve locations, placed to your specifications, allow quick and efficient cleaning. Quiet operation! – Because the noise from the system is generated in an out-of-the-way area, vacuuming with a ducted vacuum system makes less noise than a hairdryer or clothes dryer. Quiet enough to vacuum in the same room as a sleeping child! Increase in home value – Installation of the best ducted vacuum system can increase the resale value of a home by $3,000 or more. Like other built-in appliances, it is an excellent selling feature. 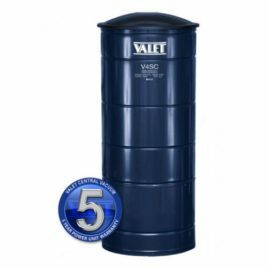 Easy installation – Both new and existing homes can be easily fitted with a Valet ducted vacuum system. 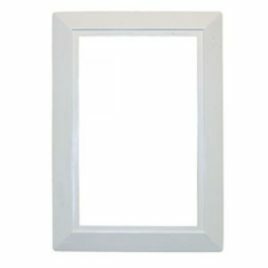 Professional installers can complete the job in almost any home in a matter of hours. 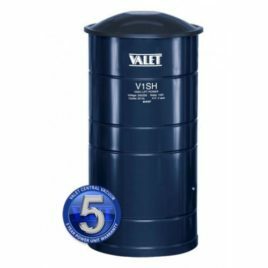 Cost – A complete ducted vacuum system can be professionally supplied and installed in a smaller home for as little as $1,500. Because it will provide powerful cleaning for a decade or more, a ducted system is a cost effective choice.